 We love what we do at Page Machines and we would be honored to help everyone that has requested our expertise as we have assisted many business achieve high-levels of success. We select the clients we work with very carefully and have a reasonable set of criteria that needs to be met in order for us to proceed. We only work with a limited amount of clients at any given time to ensure maximum attention to detail and your company’s ultimate success. 2. A steady flow of leads, a solid customer base, consistent traffic and sales. You’re promoting and you’re selling your product/services. You do not have to be a Huge company or Household Name…You just need to be PRESENT in your market. If you meet the criteria above and would like to speak with us personally about increasing online presence and customer volume, then we will happily set aside some time for you. Here’s how the process works: First, you’ll need to fill out the discovery form below. Don’t worry, it’s simple. We just need to know what you’re selling, get an idea of what you want to accomplish…We’ll painstakingly review your goals, your offers, and so forth …and we’ll deliver a custom plan to grow your revenue.